Alex Locust: What inspired you to get into filmmaking? Jordan Melograna: I’m a child of the 80's and grew up on Spielberg, so my interest in film began with science fiction, action, and popcorn movies. Later, watching The Thin Blue Line, Grizzly Man, Sherman’s March, and other documentaries convinced me that this genre was a better fit. My first real job on a documentary was on The Powerbroker, a TV documentary about civil rights leader Whitney Young, which sparked an interest specifically in human rights related subject matter. Part of my interest in the Right to be Rescued was inspired by Spike Lee’s When the Levees Broke. When I saw Lives Worth Living, I became aware of an entire civil rights movement largely overlooked in history books and it remains an inspiration for the work I do at Rooted in Rights. AL: At the core of your organization, Rooted in Rights, is the desire to make films about important disability issues. Why do you think film is an important medium for promoting disability rights? JM: Film is perhaps the most important medium for promoting the cause of disability rights. First and foremost, because it is both a visual and audial experience, it can be far more accessible than other forms of communication. In the U.S., we have a long history of hiding, separating, and segregating people with disabilities, whether in institutions, workshops, the special ed classroom or, increasingly, in our jails and prison. A camera can go behind those walls and remove the separation. And lastly, filmmaking is no longer restricted to filmmakers. Every person has the potential to make a film with the smartphone or tablet they probably already own. At Rooted in Rights, we believe strongly in providing the space for people with disabilities to tell their own stories, and they are stories that the rest of the population is unlikely to have heard before. AL: How do you select your topics, and can you tell me about how you decided to do something on Hurricane Katrina? JM: Rooted in Rights produces new videos almost every week, from short 1 min videos to short documentaries like The Right to be Rescued. We generate ideas for videos largely by listening to the disability community. There are many great bloggers and advocates who are doing great work across the world. We see our role as amplifying their messages and communicating their work to larger audiences. So we team up with Protection and Advocacy systems (P&As), Independent Living Centers (CILs), and other grassroots groups. 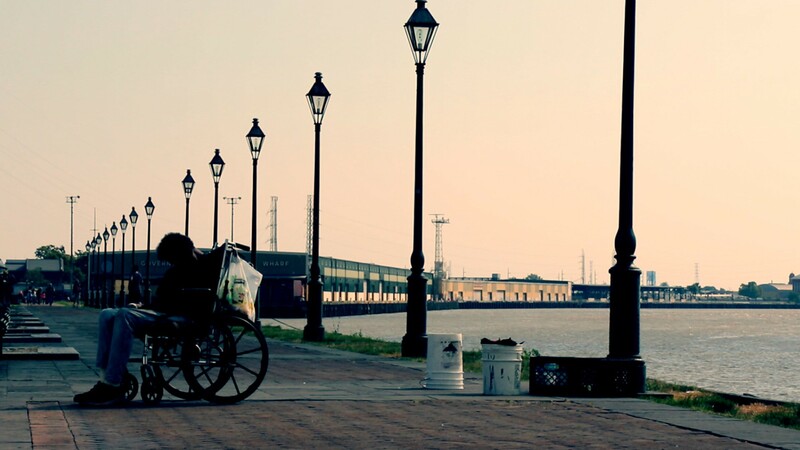 For this film, we knew that the 10th anniversary of Hurricane Katrina was approaching, and we felt that it was unlikely that retrospectives on the event would focus on people with disabilities. We wanted to tell those stories, and through telling them, encourage other cities to revise their emergency preparedness plans so what happened in New Orleans doesn’t happen again. AL: In light of the recent violent tragedies in San Bernardino, CA and Sagamihara, Japan, what is your sense of the public perception around the disabled lives? Do you think that people outside of the disability community are making the changes needed to prepare for these acts? JM: In a word, no. We were horrified by both of those events, but they are just the most famous incidents. There are other examples of people with disabilities being abused and killed by others who didn’t think their lives have value, even including parents and caregivers. And there are those who suffer the consequences of non-inclusive planning, like many in New Orleans. Fortunately, activists with disabilities are responding. They are pushing back aggressively with the message that having a disability does not mean being miserable. The recent protests against the film Me Before You are just one example of this. At Rooted in Rights, one of our digital storytellers made a video specifically addressing the Sagamihara incident. Storytelling is a great way to can change the public’s thinking, and hopefully, their actions. AL: This film features a diversity of people sharing their stories of surviving Hurricane Katrina. Can you speak to your process of identifying a diverse group and how the intersectionality of identities played into that selection process? JM: I should start by saying that people in New Orleans and the Gulf Coast in general are weary of talking about the storm, and the bad memories it brings up, and I’m forever in debt to those who chose to share their stories in the film. New Orleans to me is one of, if not the most dynamic, eclectic cities in the country, and I felt the stories should reflect that. So the way I think about intersectionality is really about authenticity. To authentically tell this story without people with disabilities who are immigrants, African-American, or from poor communities is impossible because those identifies are part and parcel to the city. In a wider sense, the disability community is not monolithic. To authentically tell the stories from that community, you have to tell stories that intersect with issues of race, gender, sexual identify or income. AL: What has the reception of the film been like thus far? JM:The most important reaction so far has been from FEMA itself. A day after the film was released online, it was shown at an event hosted by Portlight Strategies, an organization that works exclusively on emergency preparedness and disabilities. Many in attendance worked at FEMA. And we’ve seen that agency and the Red Cross begin to take these issues much more seriously. We've talked to Portlight about including the film as part of a curriculum for disaster management degree programs. The film has since been shown in cities around the country, and we’ve had requests from as far away as Warsaw and Barcelona. We want anyone who sees it to feel like they can use the film as a conversation starter, and as a way to show the potential deadly consequences of not planning inclusively. AL: What do you want audiences to leave Right to Be Rescued with? JM: I would like audience members to feel empowered to change the way emergency planners work and think in their own communities. AL: Do you have any recommendations for people with disabilities who may leave this film feeling overwhelmed or inspired to make change but unsure where to start? JM: All disasters are local, so start small. Contact your city council or local Red Cross and ask directly how they plan for the needs of people with disabilities. If you don’t like the answer, get organized. Call your state’s P&A or CILs and tell them what’s going on. The time to plan for the next disaster is right now. AL: What does being a part of Superfest mean to you as a filmmaker? JM: It is an enormous honor for The Right to be Rescued to screen at Superfest. Your commitment to films specifically about the issues important to our community and your insistence on screening the films in the most accessible way possible couldn’t be more aligned with our values. We hope that the festival is a place where we can connect to other advocates and continue to push for inclusive emergency plans that save lives. 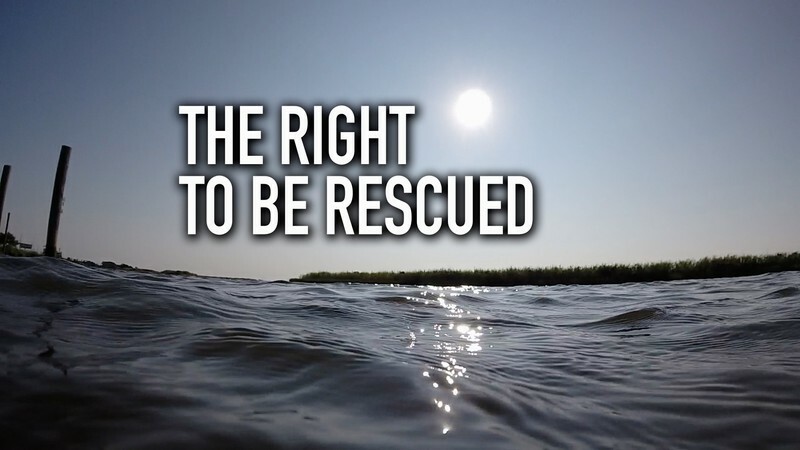 Buy your tickets to Superfest to see The Right to be Rescued and more great films!